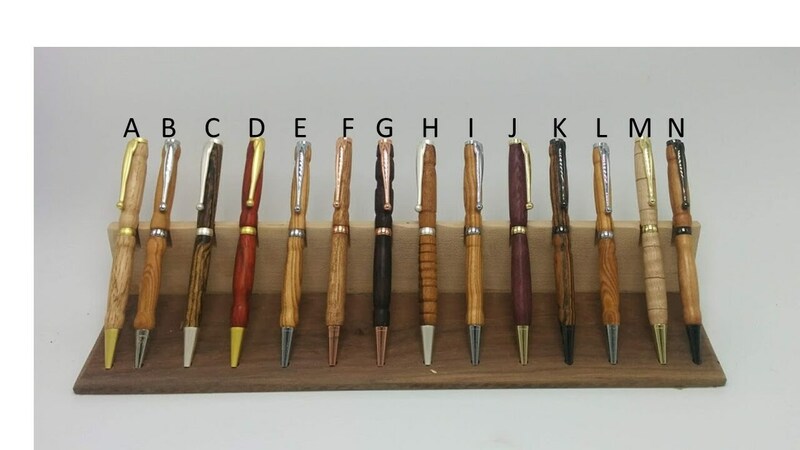 Wooden Pens are not your normal gift. They write differently and are a joy to use. Our pens are made from all kinds of unique and exotic woods just waiting for you to find the perfect writing instrument. if you have questions ask us by clicking the start conversation button near this listing title. 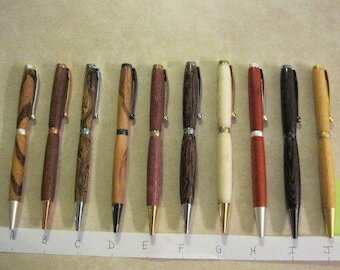 -Cross style refill easily refilled online or at Staples, office max, etc. 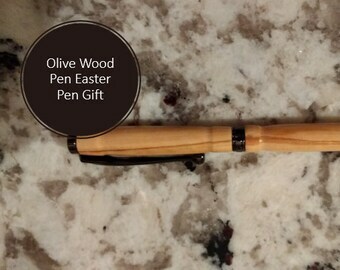 -Easy to write and firmly grippable. Select the profile shape by selecting A B C D E .... etc then select the finish. If you want a combination shoot us a conversation and we will make it for you. 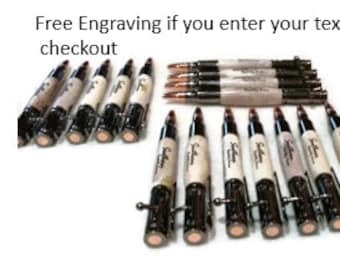 Select the engraved option if you want the pen engraved. 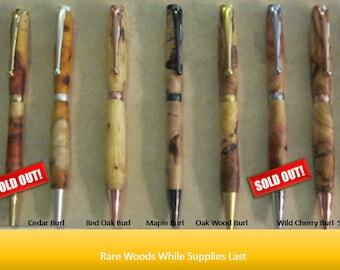 Then you can enter the personalization at checkout for the pen. This was a birthday present and she loved it. Great. Thank you.